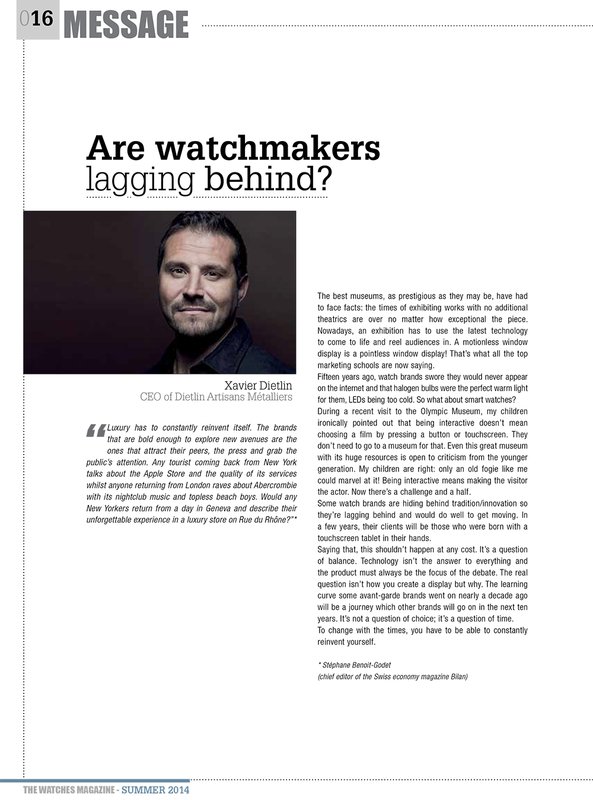 The Watches Magazine: Are watchmakers lagging behind? by Xavier Dietlin. The best museums, as prestigious as they may be, have had to face facts: the times of exhibiting works with no additional theatrics are over no matter how exceptional the piece. Nowadays, an exhibition has to use the latest technology to come to life and reel audiences in. A motionless window display is a pointless window display! That’s what all the top marketing schools are now saying. Fifteen years ago, watch brands swore they would never appear on the internet and that halogen bulbs were the perfect warm light for them, LEDs being too cold. So what about smart watches? During a recent visit to the Olympic Museum, my children ironically pointed out that being interactive doesn’t mean choosing a film by pressing a button or touchscreen. They don’t need to go to a museum for that. Even this great museum with its huge resources is open to criticism from the younger generation. My children are right: only an old fogie like me could marvel at it! Being interactive means making the visitor the actor. Now there’s a challenge and a half. 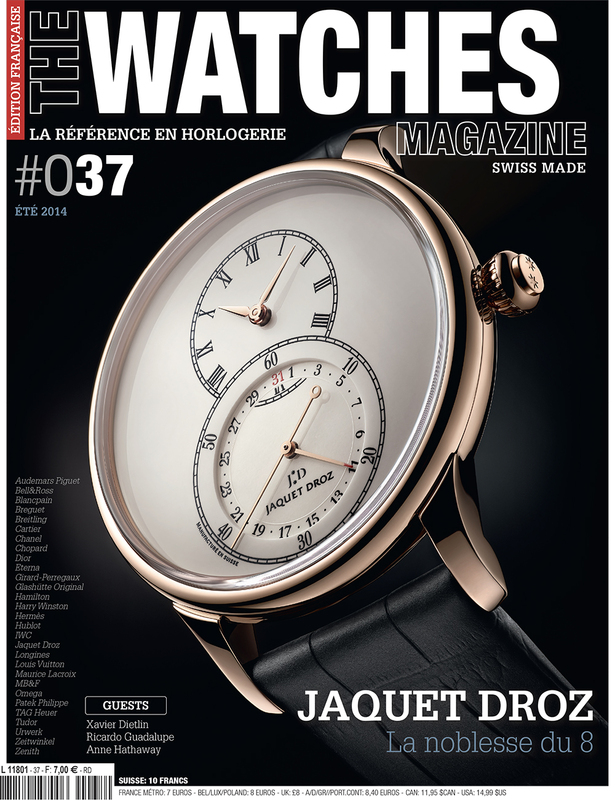 Some watch brands are hiding behind tradition/innovation so they’re lagging behind and would do well to get moving. In a few years, their clients will be those who were born with a touchscreen tablet in their hands. Saying that, this shouldn’t happen at any cost. It’s a question of balance. Technology isn’t the answer to everything and the product must always be the focus of the debate. The real question isn’t how you create a display but why. The learning curve some avant-garde brands went on nearly a decade ago will be a journey which other brands will go on in the next ten years. It’s not a question of choice; it’s a question of time. To change with the times, you have to be able to constantly reinvent yourself.